This is my husband’s very favorite meal. He always requests it for his birthday dinner. 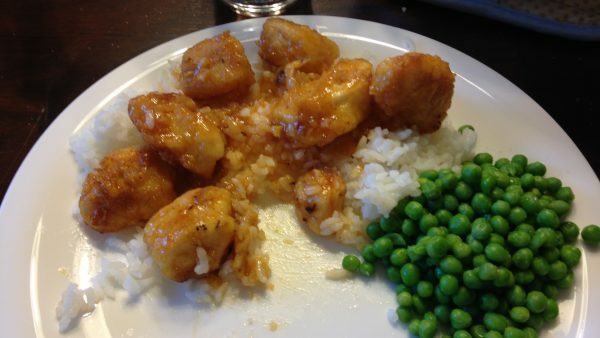 It’s different from a typical sweet and sour chicken because it isn’t as sticky, but it is delicious. The recipe comes from Grandma Vicky and my mother-in-law Lisa. Her five sons eat two pans of this chicken any time she makes it. 1. Mix cornstarch and flour and place in plastic gallon Ziploc bag. 2. Add chicken pieces and shake until coated. 3. Heat 1-2 Tbl olive oil in large skillet on stove. 4. Beat eggs. Coat each chicken piece in egg and place in pan. I would suggest beating the eggs in a shallow pan so the egg wash isn’t too thick on each piece. If there is too much egg wash when you transfer it to the skillet you get scrambled egg drippings in the pan. 5. 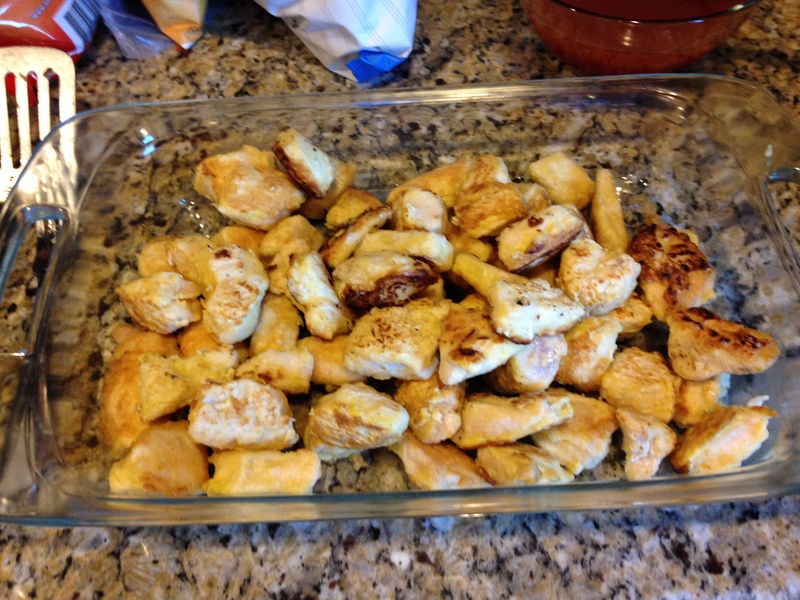 Brown chicken pieces on both sides and place in 9×13 pan. The more you brown the pieces the crispier the chicken is after baking in the oven. Make sure to add more oil as it gets low. If you don’t, the egg wash will burn in the skillet. 6. Mix together all sauce ingredients and pour over chicken. My husband, who has been eating this chicken his whole life, said that he would have liked more sauce for his rice. Next time I cook this I will double the sauce. 7. Bake at 350 degrees for 45 minutes, turning chicken pieces halfway through baking. 8. Serve over white or brown rice. We usually have this meal at my in-laws for Sunday dinner. 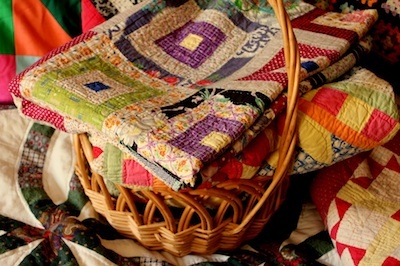 My mother-in-law will always serve it with a salad and homemade rolls. 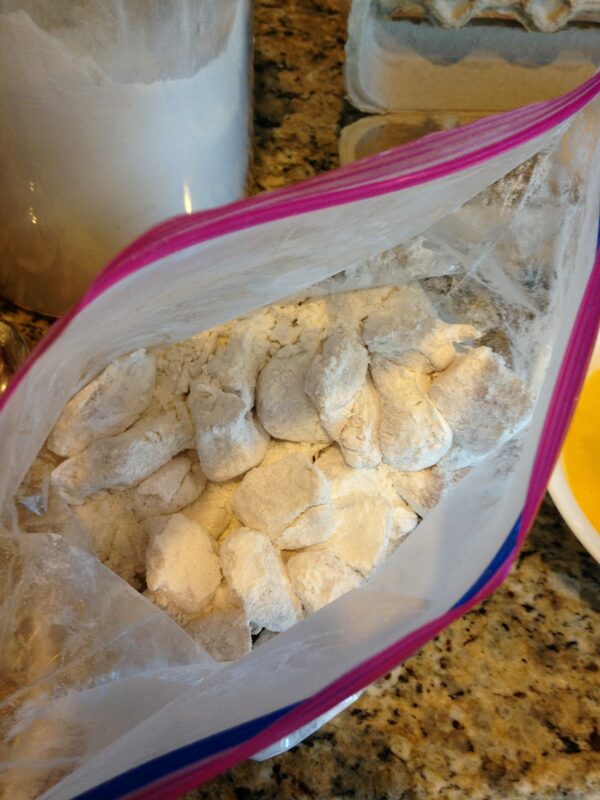 Mix flour and cornstarch and place in plastic gallon Ziploc bag. 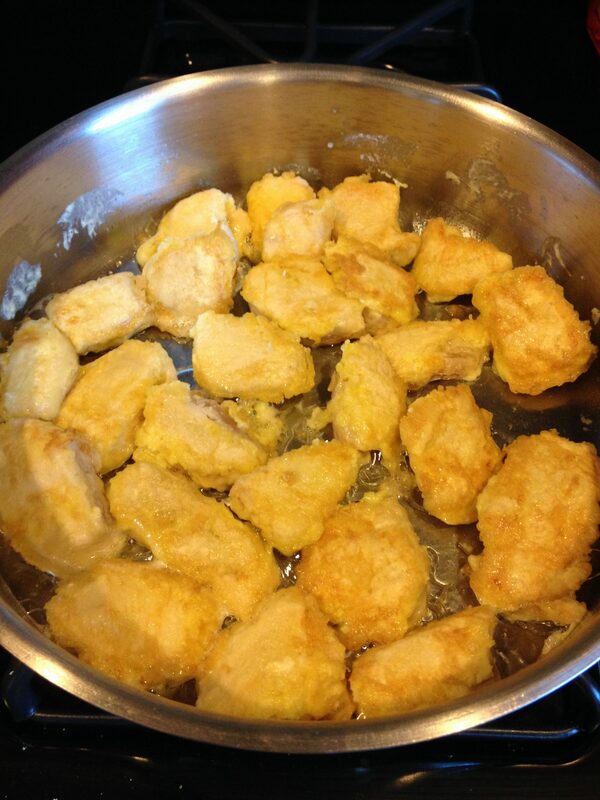 Add chicken pieces and shake until coated. Heat 1-2 tablespoons olive oil in large skillet on stove. Coat each chicken piece in egg and place in pan. Brown chicken pieces on both sides and place in 9x13 pan. Make sure to add more oil if it gets low. 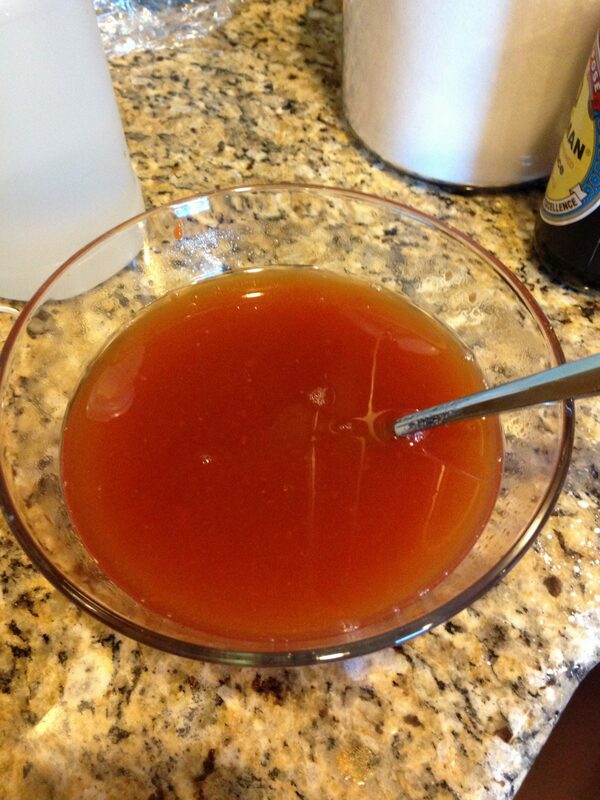 Mix together all sauce ingredients and pour over chicken. Bake at 350 degrees for 45 minutes, turning chicken pieces halfway through baking. Sounds so yummy. Thanks for sharing the recipe! This sounds so good. Thanks for sharing the recipe. I haven’t tried this yet, Juanita. It looks so good. My daughter is amazing.